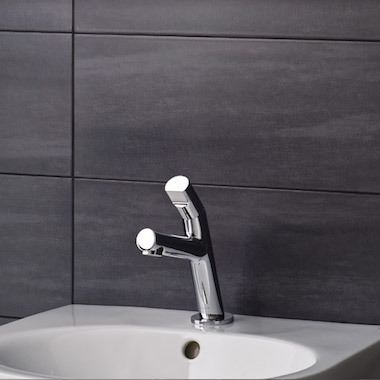 Dolomite is a sophisticated wall tile, with a smooth satin luxury finish. It is a ceramic tile in a lovely long rectangle format of 50x20 which looks great both portrait or landscape, in-line or brick-bond. Black and Light Grey or Brown and ivory tiles can be mixed together and the dark colours look very smart or cosmopolitan.